Nigeria’s Presidency has replied the Emir of Kano, Muhammad Sanusi over the proposed external borrowing of $29.9 billion. Malam Garba Shehu, the Senior Special Assistant on Media and Publicity to the President said the money is meant for the execution of developmental projects across the country. President Muhammadu Buhari had in October requested the National Assembly to approve a foreign loan of 29.9 billion dollars to fund developmental projects across the country between 2016 and 2018. However, the Emir was widely reported on Friday as expressing his disapproval of the borrowing plans by the Buhari-led administration. Sanusi, a former governor of the Central Bank of Nigeria (CBN), was speaking at a policy dialogue forum organised by Savannah Centre for Diplomacy, Democracy and Development in Abuja. “I can tell you for free, if the Senate today approves that we can borrow $30 billion, honestly, no one will lend us. “It should be approved and I will like to see how you will go to the international market with an economy that has five exchange rates,” Sanusi was quoted as saying. The Presidential spokesman, however, said: “With every respect to the Emir, you know he is my ruler because I come from Kano. According to him, the issue in CBN, that government has overdrawn its Central Consolidated Account is true, but it is within limits. On the Emir’s opposition to the loan, Shehu said the Minister of Finance would respond appropriately. “As a private citizen, I want to read his statement again. I thought that the borrowing is for projects that include the railway and electricity development in the country,” he added. 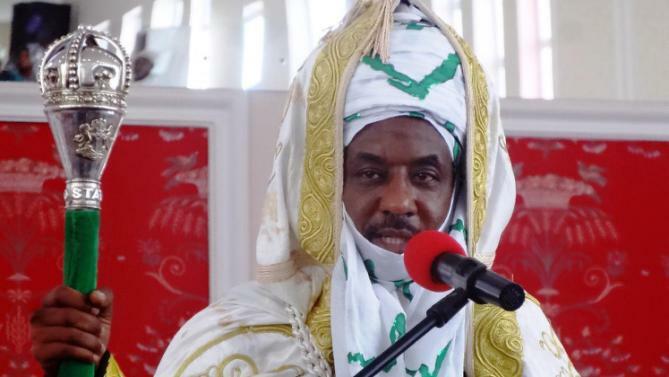 In his widely publicised critique of the government Emir Sanusi, who was also a former governor of the Central Bank of Nigeria (CBN), said the apex bank is illegally lending to federal government. Sanusi also said “the problem of the current government is not having the right policies to fix the current economic woes”, according to TheCable reports. Sanusi claimed the CBN had been lending to the government above the limits stipulated by the CBN Act of 2007. “The CBN-FGN relationship is no longer independent. In fact, one could argue their relationship has become unhealthy,” he said. Sanusi claimed that no one would lend to the Nigerian government, further stating that “if senate approved, I want to see who will lend you $30billion when you have five exchange rates”. Sanusi said the country is enmeshed in heavy debts, stating that out of every N1 Nigeria makes, 40 kobo goes to debt and 60 kobo is left for salaries, health, education, power, infrastructure.